Before the beginning of the Second World War, the premise was that England and Germany would make a treaty and attack the United States from Canada. 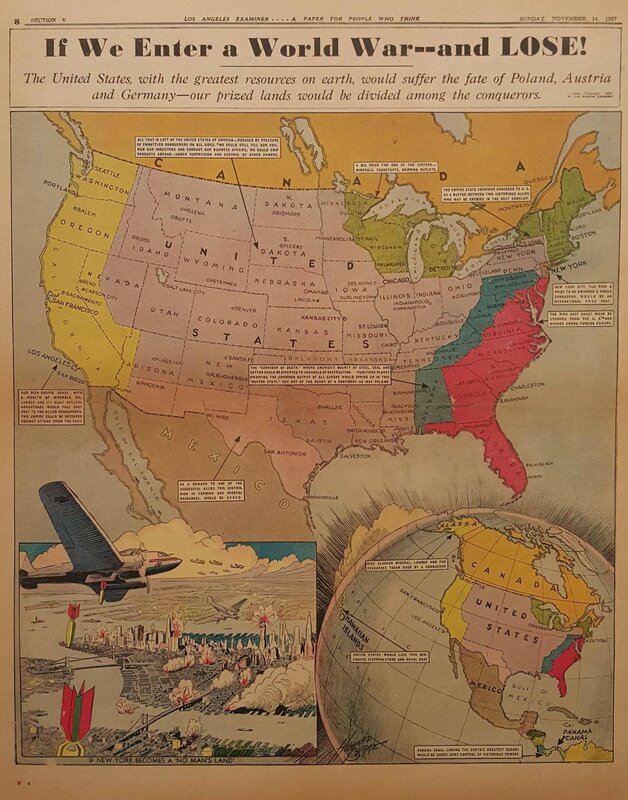 The map below was published in many Hearst newspapers. ‘New York City to high a prize to be awarded a single conqueror, would be an international free port‘. Delaware, Virginia, North and South Carolina, Georgia, Florida: ‘The reach east coast would be stripped from the U.S. and divided among foreign powers’. Parts of Arizona, Mexico, and Texas: ‘As a reward to one of the successful allies this section, rich in farming and mineral resources, would be ceded’.